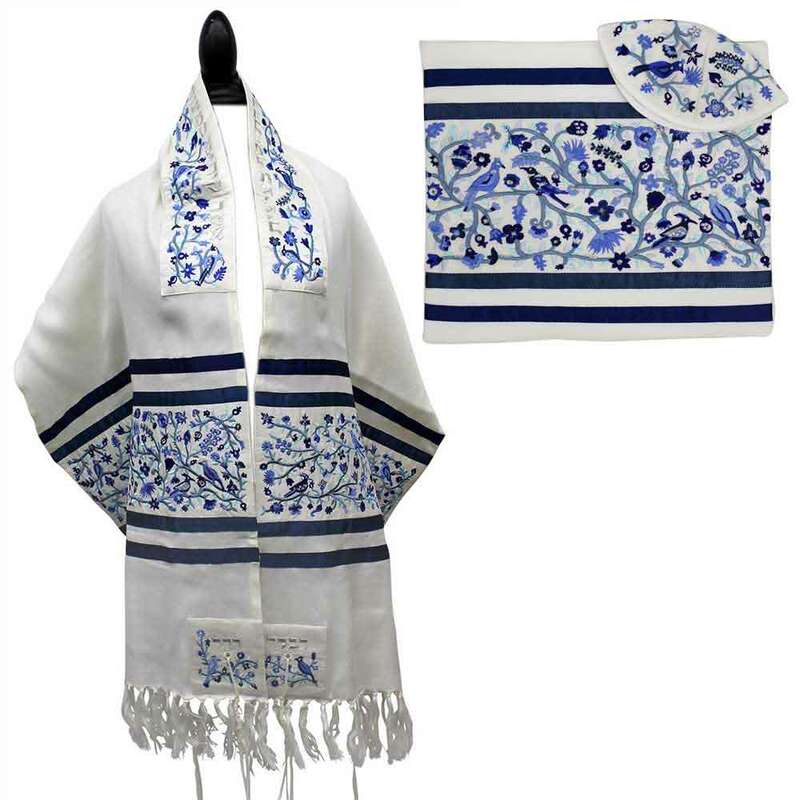 Flowers And Birds Are Embroidered Into This Spectacular Tallit, Designed By Yair Emanuel. On A Base Of A Cotton/Polyester Blend, The Tallit Is Embroidered With Silk Thread For A Rich And Luxurious Look And Feel. Along With The Tallit, A Kipot And Storage Bag With The Same Detailing Are Included. The Tallit Measures 20" X 75" And Is The Perfect Gift Idea, That She'll Cherish For Years To Come.